Posted November 15, 2010 in Black Panther, Eric Shonborn. 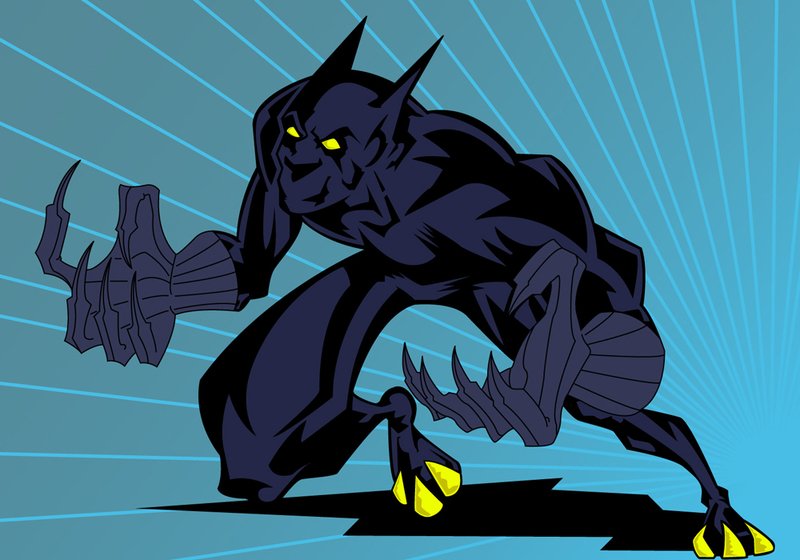 Black Panther re-design courtesy of Eric Shonborn. Eric is an illustrator/graphic designer by trade and cartoonist by night. You can find more of Eric’s work at his blogs here and here and tune in to the comic based podcast, Gutter Trash, which Eric co-hosts with his good friend, Jason Young.